Several CT Transit bus operators, with the support of their union, are speaking out about what they say is a lack of available and adequate restroom facilities for drivers on all bus routes. Union representatives said that they have raised concerns with CT Transit but that not enough has been done to address the issue. The NBC Connecticut Troubleshooters were first to reveal bus surveillance video of a driver caught on camera and on duty stopping his bus during his route to urinate in some bushes on the side of a Manchester street. The driver in the surveillance video told his managers that “it's really hard to find a restroom” and his need to relieve himself was “an emergency,” according to CT Transit. The driver's fellow employees said that video identifies a prime example of an issue that many CT Transit operators encounter on a daily basis. "Oh you're panicking," said CT Transit bus operator Mike Wendus. "You have nowhere to go; absolutely nowhere to go." Wendus has been driving buses for 28 years. He described the day he was traveling a rural road in South Windsor with no accessible restrooms around when he had an “emergency” of his own. "Mother nature came calling and rather quickly," said Wendus. He said he could not “hold it” any longer and defecated in his pants while in the CT Transit drivers' seat. "I needed to get cleaned up. You're embarrassed; you're humiliated," he said. Wendus said he told his dispatcher what had just happened and then called his wife to bring him a change of clothes and a garbage bag. "We felt we need to speak up," said Artan Martinaj, the Business Agent for Local 425, the Amalgamated Transit Union, which represents about 600 members in the Hartford area. Martinaj said the union has been calling on CT Transit and the Connecticut Department of Transportation, which owns the bus service, to make more safe, clean restroom facilities available on all routes. "Nothing has been done," he said. Because drivers are trying to stay on top of already-tight bus schedules, there is often no time or place for a bathroom break, according to Martinaj. He said that some of his drivers are even resorting to wearing adult diapers to get through their shifts. "It's fast-paced. You have to stay on time," said Staci Davis, a CT Transit bus operator for the last four years. Davis said she does not wear diapers on the job but does avoid eating or drinking before or during work to avoid having to stop the bus to go to the bathroom, which could potentially frustrate her passengers and put her behind schedule. "I've encountered being very uncomfortable to the point where my leg is shaking because I have to go to the bathroom so bad where I feel like I'm in tears because the pain is going through my abdomen," said Davis. Operators rely on local businesses along their routes to allow use of restrooms. 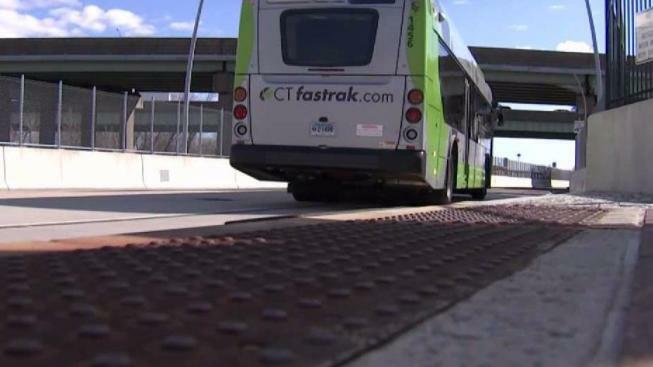 However, some drivers said CT Transit is often posting notices when some of those businesses decide the bathroom facilities are suddenly off-limits to bus drivers. "Honestly, I personally feel like there's not any access for us to use the bathrooms," said CT Transit bus operator Breanna Hartfield. "There needs to be a change," she said. "The comfort of our operators is obviously a primary concern for CT Transit, and to be clear – we would never deny a request for a driver to take a restroom break. With that being said, the general policy is that operators take restroom breaks at layovers, utilizing restroom locations which have been predetermined and approved by CT Transit. Additionally, operators can use other restrooms along the route at any time if necessary by contacting a dispatcher." And he said CT Transit frequently meets with the union to discuss issues and share ideas. “We are open to considering any options which may afford a more comfortable and efficient operating environment for staff and our customers," Pouliot wrote. What is the current policy regarding employee restroom usage or personal relief while operating a CT Transit bus? What is protocol when an operator believes he or she is about to have a personal relief ‘emergency’? Can the operator go off-route (potentially delaying service) in order to deal with the ‘emergency’? Are adequate restroom facilities available on all lines? Does CT Transit routinely post an updated list identifying available and adequate facilities on all lines? Is ‘recovery time’ considered to also be a break? Why or why not? Have policies regarding adequate bathroom breaks/facilities been adapted to take increases in traffic, construction, etc. into consideration? Some operators have said that they refrain from properly hydrating during a shift to avoid having to use the restroom. What is CT Transit’s response to this? Some operators have said they were in extreme discomfort during their shift because they needed immediate personal relief. What is CT Transit’s response to this? Some operators have said that wearing adult diapers is the only option to deal with a lack of bathroom breaks while trying to stay on schedule. What is CT Transit’s response to this? Some operators have said that a lack of adequate bathroom facilities forces them in a personal relief emergency to relieve themselves in bushes, trees, etc. ; like what was shown in our recent news story. What is CT Transit's reaction to this? Members of the ATU have said these concerns have been brought to the attention of CT Transit/DOT management multiple times in recent years. What, if any, changes have been made to deal with these concerns?